895 points will be rewarded to you when you buy this item. Legacy’s 360-serving package of gluten-free meals provides enough long-term emergency food to feed one person lunch and dinner every day for six months. With nine tasty meals to choose from, including soups, chilis, and stews, you can rest assured you won’t go hungry when the time comes to use your food storage. All meals in the package are safe for those who suffer from gluten intolerances, and, as with other Legacy products, have a long-term shelf life of 25 years. 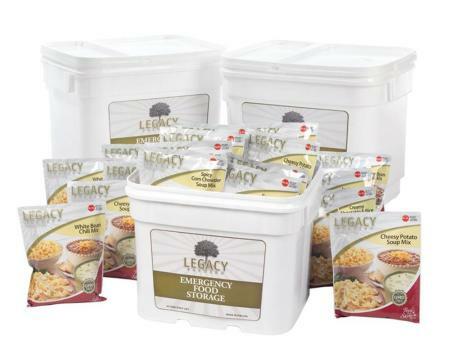 Meet your family’s dietary needs with Legacy’s gluten-free long-term food storage meals. The food storage industry has been slow in adapting its offerings to those with dietary needs outside the norm. And stocking up on quality food storage is hard enough without also having to search high and low for gluten-free options. Legacy is aware of the rarity of long-term gluten-free food storage and has created a line of gourmet gluten-free meals that are not only delicious, nutritious, and affordable, but also last in storage long-term. When you purchase the 360-serving Gluten-free Entree Package by Legacy, you get meals that will be safe for family members who need their food to be gluten-free. 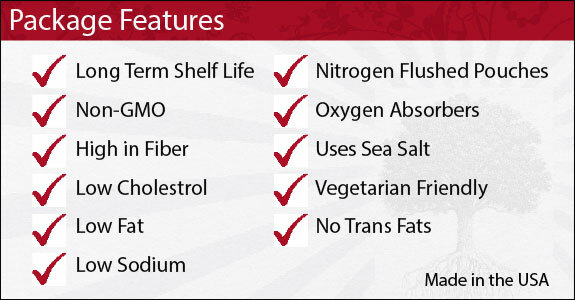 Best of all, you get this assurance without sacrificing the need for a long-term shelf life. All Legacy options are expertly prepared and packaged so that they will last in storage for 25 years plus. This means you can store your food and forget about it until you need it. Legacy’s storage meals are so tasty, however, that you may not want to wait until an emergency situation to enjoy them. Take out a meal for a delicious dinner on a busy weeknight, carry one in your bag when you go backpacking, or pack them along on your next family camping trip. Legacy’s meals are the answer not just for food storage but for anytime you need a nutritious and easy-to-prepare dinner. The 360 Serving Gluten Free Entree Package from Legacy Premium includes 9 different entrees (360 servings total).